In early August, the wonderful Kristin Anders sent me a link to an anthology call. A zombie anthology call. 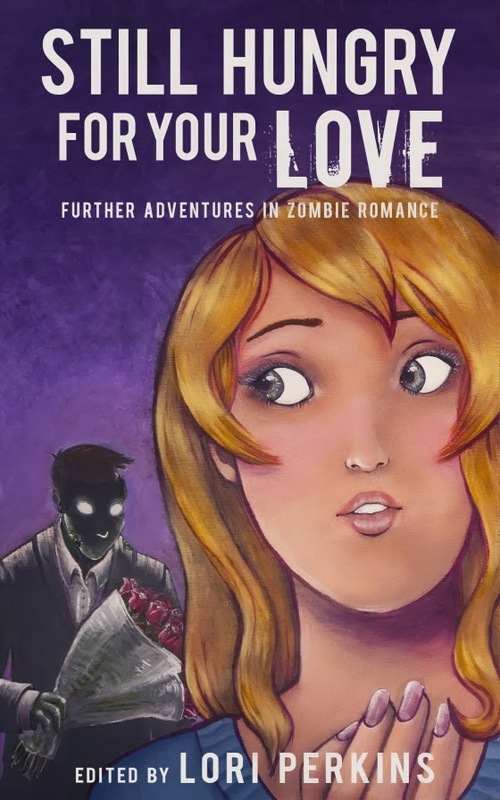 Zombie romance, to be exact. In other words, she dangled catnip in front of my nose and I couldn't resist. I ran right up to the deadline, writing, fully rewriting, and then revising my short story. I actually finished it at Dragon*Con, staying up until the wee hours in the hotel lobby with only my laptop, a drunken stormtrooper, and an enthusiastic bunch of bronies for company. These were my muses, people, and I was grateful. Story sent. I didn't hear anything for a while, and given the publication time frame, soon decided the story had been rejected. "No Response Means No" is common in publishing (I'm not saying Riverdale Ave Books is a No Response Means No publisher, just that I hadn't necessarily expected to hear anything back, so I wasn't surprised not to). No hard feelings, just wasn't for them. On to the next story. At the end of October I got an email I truly did not expect. Lori Perkins - author, agent, fabulous editor of Hungry for Your Love, and the originator of the follow-up anthology call - loved my story. She decided to include it in the anthology. I was over the moon. Still am. That brings us to today. 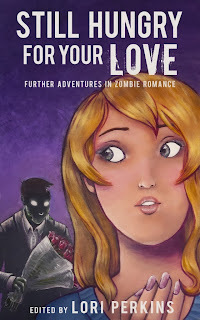 I'm so excited to announce my short story, PIED PIPER OF THE DEAD, is included in the zombie romance anthology Still Hungry for Your Love. The anthology contains 15 short stories total, and these authors are top notch. Lori did a fantastic job deciding what to include (no easy task, I'm sure, as the call received over 250 submissions), and I am so humbled and grateful to be included among them. To celebrate the release, I'm at The Otherworld Diner with a contest and a chance to win a digital copy of Still Hungry for Your Love...and maybe a few other goodies as well. Thank you for celebrating with me, and I hope you enter the contest.